For many years running, South Elgin, Ill.-based McCloud Services has hosted an annual seminar specifically geared toward pest management, environmental health and food safety professionals In late April, the event was held once again with several pertinent expert speakers. Here are a few highlights. 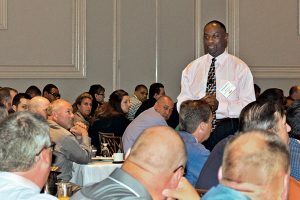 In his talk, “Food Defense Roadmap of the Future,” Rod Wheeler discussed why people are one of the biggest risks to food safety. Site vulnerability, cyber security, and product theft all put the food supply at risk. 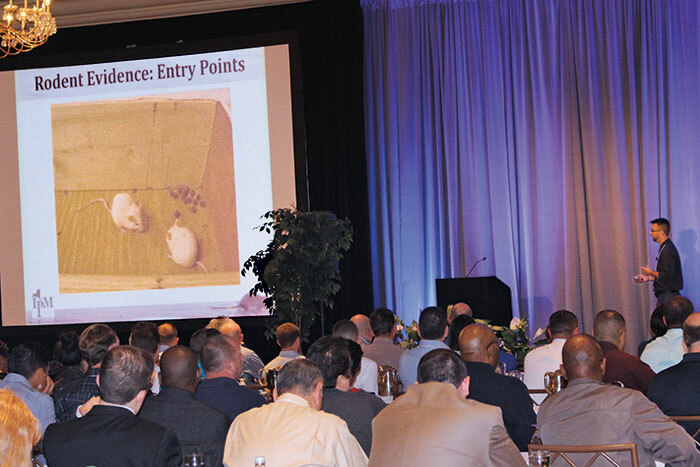 Wheeler, founder and CEO of The Global Food Defense Institute, recommended that all employees and vendors (particularly pest management professionals, or PMPs) always be on the watch for suspicious activity and report anything that looks unusual. Cornell University extension educator Dr. Matt Frye welcomed attendees into the rat world with his talk, “Harboring Secrets: Parasites and Pathogens of NYC Rats.” Identification is key to eliminating any infestations, particularly with rats, so it’s vital to know the difference in appearance, droppings, and gnaw marks between rats and mice. He also said it’s important to assess the size of the infestation (there are typically eight rats for each burrow hole), how dynamic their environment is (a playground that sees constant action as opposed to a static crawlspace), and the population’s food preference (which is actually determined by what the mother ate). 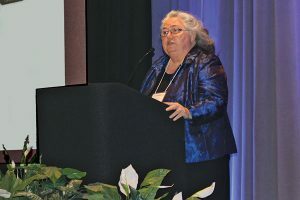 Dr. Frye reported that the risk from parasites rats carry has increased. In 1925, there were 0.22 fleas per rat but by 2014, the number increased to 4.1 fleas per rat. Cockroach numbers are increasing, but chemical availability is decreasing thanks to regulatory registration requirements. PMPs need to be more aggressive in their monitoring and diagnostics and “think small,” he said. While Germans and Americans continue to be the focus, the Turkestan cockroach (Blatta lateralis), a high desert cockroach found in warm and dry environments, is a species on the rise. Plans already are underway for the 2017 event, taking place Tuesday, April 25. 1) The panel discusses the symbiosis of pest exclusion and food safety. 2) Dr. Matt Frye explores the parasites and pathogens of rats in New York City. 3) Rod Wheeler answers food security questions from the audience. 4) McCloud Services Technical Director Patricia Hottel addresses attendees during the opening session. 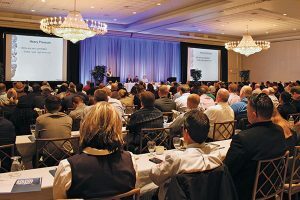 Read highlights from the event’s panel discussion, which featured Wheeler, Barile, Dr. Frye, Dave Colbert (Global Materials Technologies) and Ray Olschewski (Bird Barrier America). The post also discusses presentations by Drs. Hal King (Public Health Innovations) and Robert Brackett (Illinois Institute of Technology). Contributor Patricia Hottel, technical director for McCloud Services, can be reached at pathottel@mccloudservices.com.